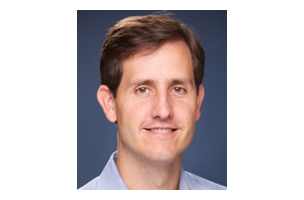 Facebook Strategic Preferred Marketing Developer Kenshoo announced recently that it has added Grady Burnett, formerly Facebook’s Vice President of Global Marketing Solutions, to the company’s board of directors. Burnett spent 4 1/2 years at Facebook and 4 years at Google, where he launched the Google Ann Arbor. Michigan office and served as Director of Online Sales and Operations for the Google North American AdWords team. Currently, Burnett is the COO of Flurry, a mobile analytics and advertising company. Finding someone with Grady’s expertise and professional network is rare, but we’re lucky enough to have also added someone who embodies Kenshoo’s core values of passion, innovation, and humility. We look forward to Grady’s insights related to cross-channel and cross-device activity as we continue to direct the future of Kenshoo and push the limits of digital marketing innovation for our clients. I remember approaching Kenshoo about the importance of prioritizing social media back when I was at Facebook and the ad platform was in its nascent stages. Since the early days, Kenshoo’s record of product excellence has been quite impressive and, combined with the company’s rapid global expansion, it’s easy to predict that great things are on the horizon. … I’ve been lucky enough to watch firsthand as Kenshoo has grown from a disruptive startup to industry leader in both search and social advertising technologies. I look forward to contributing to this amazing team.